A study in 2016 found that 40% of employers are having difficulty filling available job positions. Clearly, employees are needed for running a business. There are two reasons for this. First, employers are citing a lack of applicants. There just are not enough applications coming in, either due to a lack of awareness or interest. Second, employers are having a hard time finding candidates that fit their needs. If you are a recruiter, you need to improve your recruiting practices in a way that can help you identify potential talent more effectively. 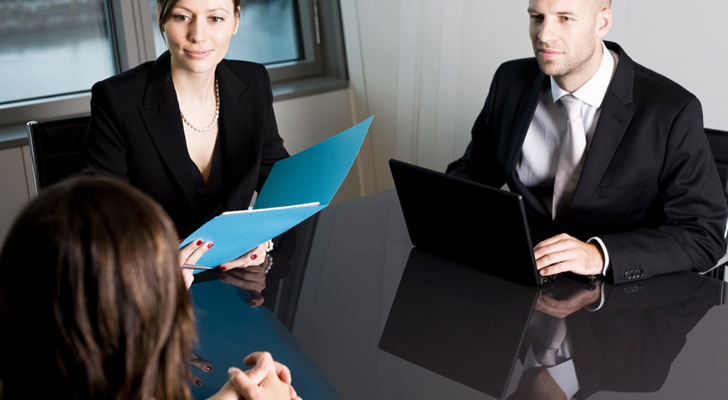 Here you will find all the help you need for – recruiting: best practices for hiring success. Online videos account for over 60% of all web traffic. They also exceed 50% of all mobile traffic. Clearly, online videos are the way to go in terms of recruitment exposure for your StartUpJobs. They are more likely to reach a wide range of applicants. They are also more engaging, making it more likely for you to get your message across. Videos make for effective recruiting tools because they can be designed to represent your company. You can show how fun and comfortable your office is. You can add a personal touch and include messages from employees and managers as well. Videos are more alluring than simple text ads. The widespread exposure videos get make them one of the best recruiting practices out there. One of the most effective way to hire good employees that produce results is to test out their skills in the interview. During the interview, have the candidate attempt one of the tasks that they would be responsible for. This is a great chance to see how the person will perform on the job. You can get a feel for their strengths and weaknesses, as well as the quality of their work. Having applicants perform a day-to-ask during the interview is an excellent way to weed out the less than stellar candidates, and is much more effective than workplace drug testing. A good percentage of job seekers will turn away from job listings that sound mundane or boring. As a recruiter, you want to be selling this position as if it were a product. It is important that you write job descriptions with as much creativity as possible. Start by comparing your descriptions to jobs in similar fields. Use this comparison to come up with something that is unique. Then, survey individuals in order to identify specific words that job seekers are interested in. People are usually more interested in certain details than others. Recognize these details and accentuate them. Recruitment is inconsequential if your potential applicants are neglecting to read your job listings. Selling your job descriptions is one of the best recruiting practices you can use. There are multiple sources you can use for recruitment by following these social media tips. On the internet, you can find social media sites, resume builders and business forums filled with potential applicants. Some people have personal websites with portfolios. You can use these pages to scout applicants, as well. Outside of the internet, you can host open houses. These will help gather individuals who are already interested in your company. You can also attend industry-related events. There, you will be able to find an assortment of professionals and industry people that might be interested in your company. Take advantage of the options you have for recruitment. Keeping a broad view of your sources is a great recruiting practice. Referral programs are effective for a variety of reasons. First, you have your work done for you. People within the program can help refer you to others without your direct input. If your referral network expands beyond a certain point, you will have access to a vast number of potential applicants. Referral programs are also beneficial because they increase the likelihood of finding people who will have high employee engagement in the business. Applicants will be more inclined to accept invitations to companies that their friends are familiar with. They will have an easier time adjusting as well because there are familiar faces within the company. Referral programs are one of the best recruiting practices due to their networking potential and higher retention rates. Your success in finding potential talent is going to depend on your recruiting efforts. Job seekers are not interested in companies that post boring job descriptions. They are attracted to descriptions that contain more engaging language. Sometimes, they may even prefer videos that show a more personal touch and inform them what to bring to a job interview. By utilizing the best recruiting practices highlighted in this post, you will be more likely to find a qualified candidate for your company’s job opening.